Shockwaves ran through the gambling world when it was announced this week that ten times World Series of Poker champ Phil Ivey, is a cheater. This follows a court case heard at the UK Supreme Court between Ivey and the Crockfords Club. This case was on appeal from 2016 after the court originally found Ivey guilty of cheating the Crockfords Club out of over £7 million pounds in 2012. Ivey has now lost his appeal against the case and he will surely go down in infamy. The cheating allegations stem from a high stakes variant on Baccarat called Punto Banco. Crockfords accused Ivey of using a technique called ”edge sorting” which is a form of advantage play. The technique relies on a player noting small differences in the designs on the back of playing cards in order to gain a tactical advantage on the dealer. 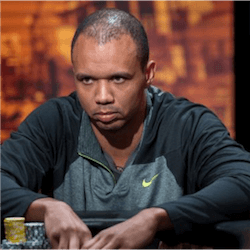 While Ivey did not manually do anything, he would ask the dealer to rotate certain cards in order to determine their value, citing that he is superstitious. The owner of the Crockfords Club hired a strong legal team to prosecute Ivey and the Judge found him guilty. In his ruling the judge stated that Ivey gave himself an advantage that goes outside skill within the game environment. He said that in his opinion, that constitutes cheating. The court added after his appeal was lost that Punto Banco is a game of pure chance. It is an essential element that makes the game. They used a comparison that if Ivey had gained access to the shoe and rearranged cards, that would also be seen as cheating and parallels can be drawn between that and “edge sorting”. They also added that he made the croupier complicit n his cheating without her realising it, making it a well thought out and executed cheat. COO of Genting, Paul Willcock stated the company’s happiness with the verdict and he hopes it shows that Genting did not deny paying out the winnings for an arbitrary reason. They believed at the time and now that court and the Supreme Court have shown it to be the case, that they acted correctly and in good faith. Ivey however disagrees with the verdict. He said that the court did not understand advantage play and what it means to be a professional gambler. He said that the ruling goes contrary to the facts and logic.